Rendering -> Render Setup dialog -> choose the Processing tab. 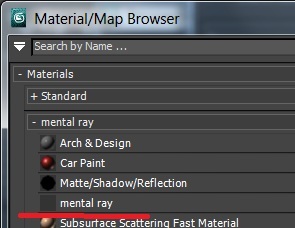 Enable ´Material Override´ and create a ´mental ray´ material here. 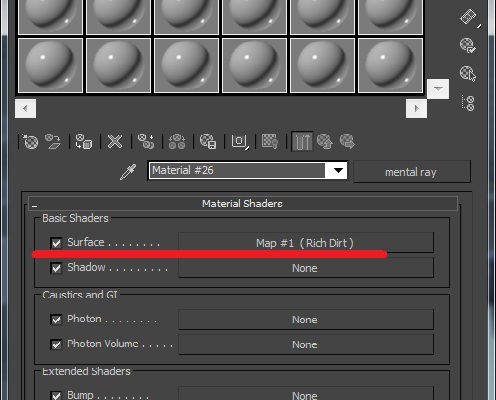 Assign RichDirt to the ´surface´ slot (see image below). Select the -DiffuseMap- as Element. Render (do the usual RTT steps like you would do without RichDirt, like adding an image name, selecting an object to RTT). Why to use the ´mental ray material´s surface slot ? We don´t want lights and shadows applied. 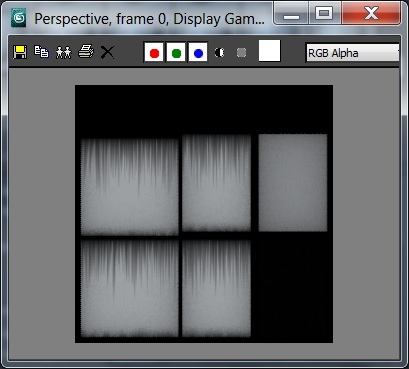 By directly adding the RichDirt texture to the ´surface´ slot one can skip lighting and shadows. Is it possible to use a ´regular´ material as well ? Is it required to use the ´Material Override´ (step 2 and 3 above) ? No ! You can use any material, add a ´mental ray´ material and RichDirt in the surface slot. Using the ´Material Override´ allows to quickly add dirt to more objects in the scene. Using ´regular´ materials is more work, but it also is more flexible, like having different dirt for every object. Choose what works best for your workflow. Increase your efficiency: You can create several materials and save to a lib to easily throw them at different objects to weather buildings or make objects dirty. RichDirt assigned to "surface" slot. 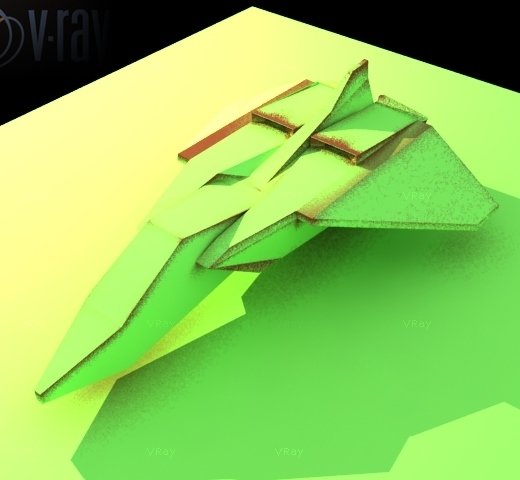 A really excellent tutorial on RTT with V-Ray is found here. 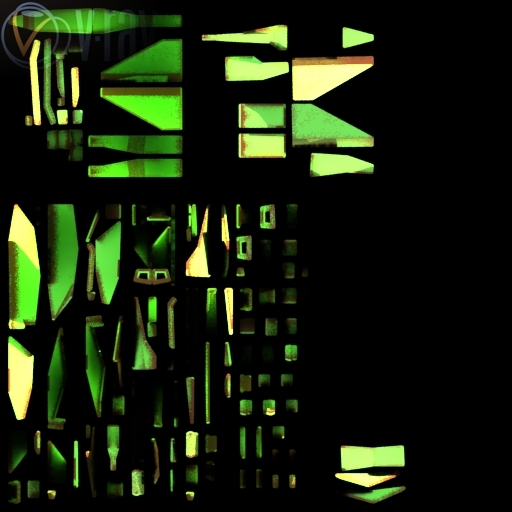 This tutorial is for V-Ray 1.5, so the global illumination settings are a bit different in 2.x and 3.x , but the Render-To-Texture part works directly with the newer version of V-Ray. Adding RichDirt is very easy. Simply go to the material, and plug it into the diffuse slot. The image below shows the spot3d model enhanced with a RichDirt texture. A brown color is used to create a rust-like effect.